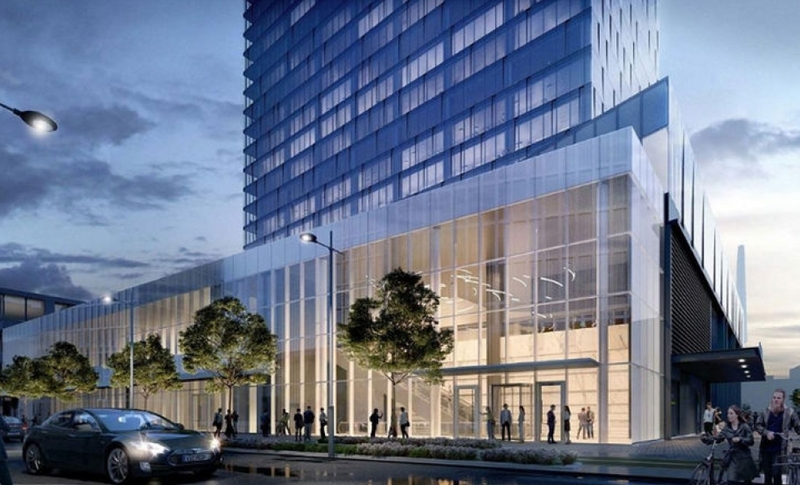 Sugar Wharf Condos is an exciting new mixed-use condominium development coming up at 95 Lakeshore Blvd East, in the Heart of Toronto. This massive project is designed by Menkes Developments Ltd. 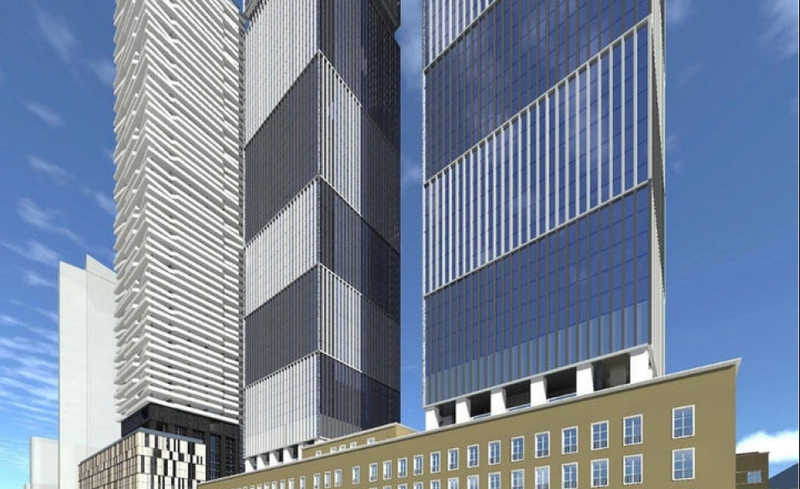 The project is proposed to comprise a 600,000 square feet, 24-storey office tower and commercial retail space of 300,000 square feet, a new multistorey residential community along with a 2-acre community park. 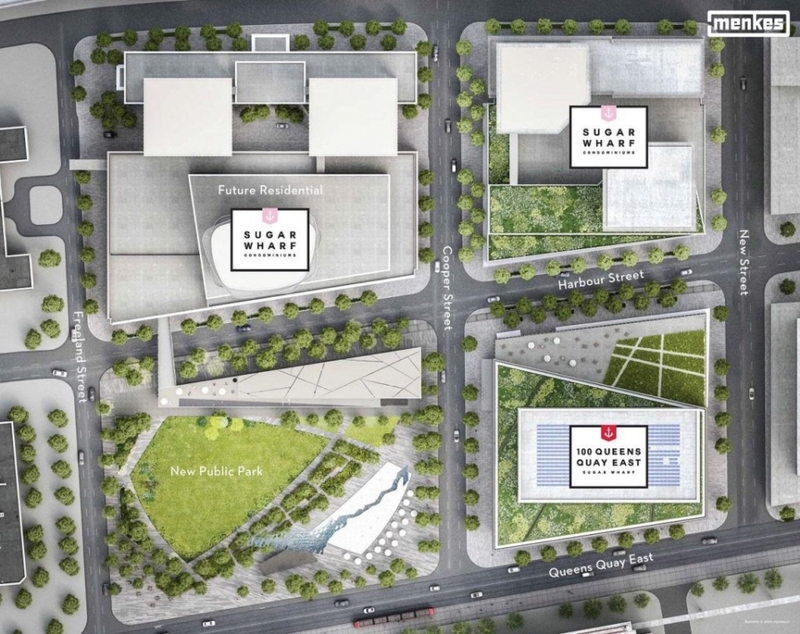 The condos will sit on the 11.5 acre spot where the LCBO flagship buildings are positioned at the moment on the Queens Quay East and Freeland Street’s northeast corner. 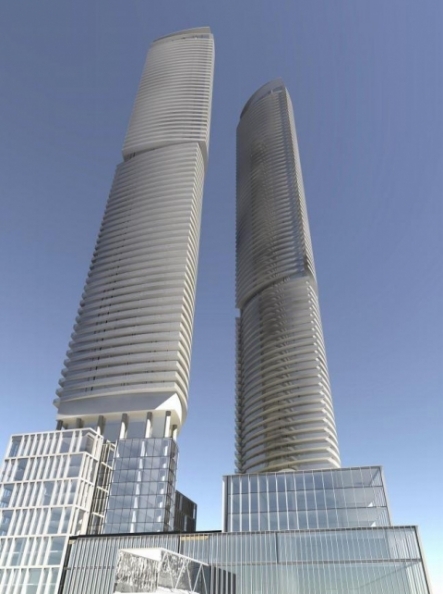 Multi-Phase Mixed Use Waterfront Community which will feature Five Condo Towers ranging from 64 to 90 storeys, a 25 Storey Office Tower anchored by LCBO, Retail Space, a new 3 acre Public Park, a Midrise Rental Building, a Grocery Store and a new Public Elementary School. Exciting venues such as the Air Canada Centre, Rogers Centre, The Hockey Hall of Fame, Ripley’s Aquarium, CN Tower, Metro Toronto Convention Centre, The Distillery District, The Harbourfront Centre to name a few. 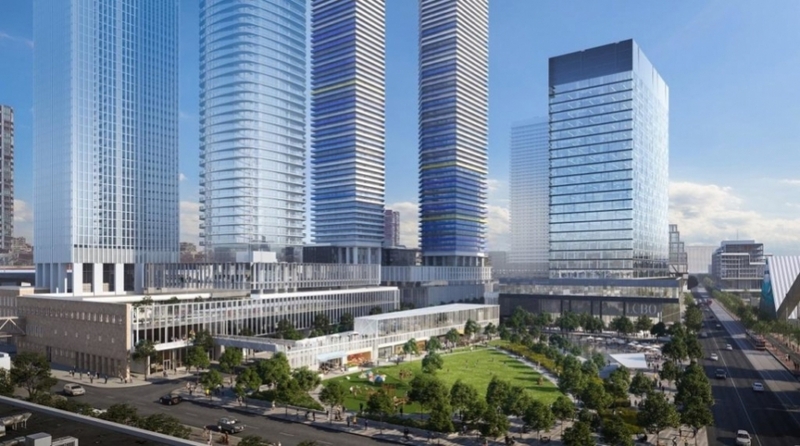 Living on Sugar Wharf Condos is residing in the core of Toronto, You will have the direct connection to Union Station with the endless transit links to the city and outside. 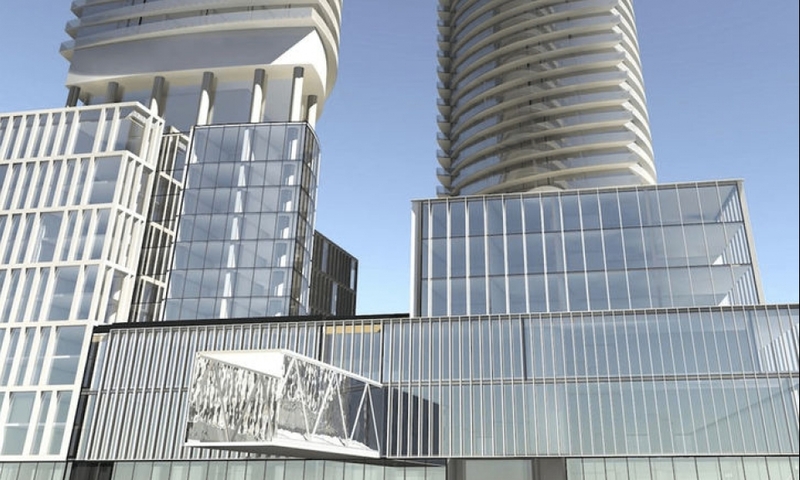 This waterfront community is an emerging neighbourhood in Toronto is currently undergoing a transformation from industrial use to mixed-use as part of Waterfront Toronto's plans to create a residential and commercial district urban core near the lake. 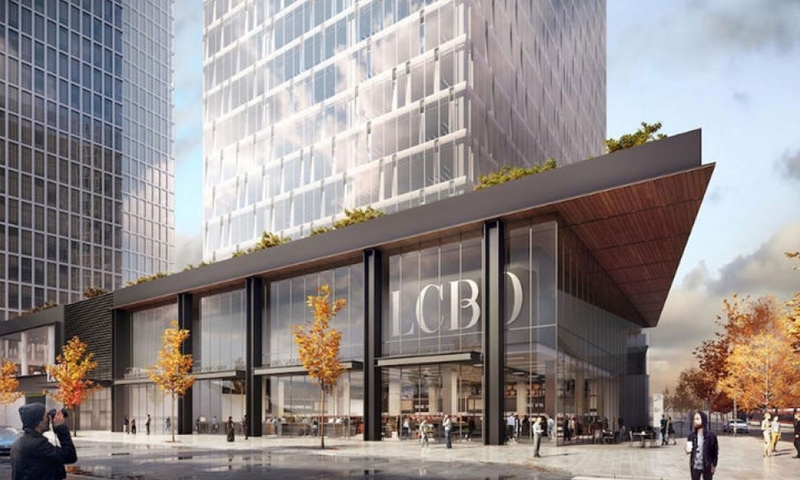 Menkes made the groundbreaking for the 25-storey, 700,000-square-foot office building and liquor store that will replace the 64-year-old yellow brick LCBO headquarters. Discover how you can become part of this remarkable community and love where you live this summer! GET FIRST ACCESS BEFORE IT GOES PUBLIC!